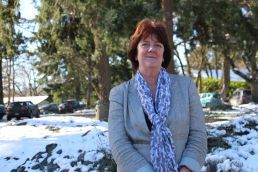 Please welcome Barbara Sutton as our new Director of External Relations at St. Margaret’s School. In her role, Barbara oversees the School’s External Relations team, which includes responsibility for advancement public relations, communications, marketing, branding and alumnae relations. Specifically, this position has oversight for the development and implementation of all fundraising initiatives with the objective of securing ongoing, sustained revenue for the school. The director will develop stewardship strategy and manage priorities, goals, and budgets; research, identify and engage with potential donors and other sources of potential revenue, including government/corporate grants and other opportunities available to not-for-profit organizations. This position also manages alumnae relations with the goal of building and sustaining strong relationships with all alumnae and supporters though a variety of means to be developed and executed by the Director. This role includes managing the administrative support for the External Relations Office, the donor/alumnae/student database and all activities pertaining to donor relations, including record keeping and issuing of tax receipts. Barbara has over 25 years of experience in advancement, alumni relations, marketing and communications, primarily in the education sector. She has held senior management positions at the University of Toronto, York University, University College London (U.K.), The Royal Conservatory of Music, Neuchatel Junior College (Switzerland), Bayview Glen School and World Wildlife Fund – Canada. In addition to her B.A., Barbara has a two-year Certificate in Fundraising Management from Ryerson University, earned her CFRE (international fundraising certification) in 2004, and CAGP (Canadian Association of Gift Planners) certification. We are excited to welcome Barbara to the team.